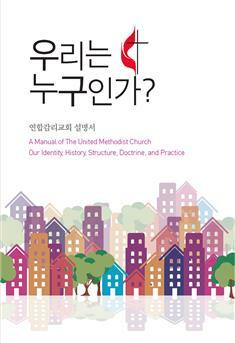 A Manual of The United Methodist Church: Our Identity, History, Structure, Doctrine, and Practice, by Samuel Hong, Kang Won Lee, Yongyeun Lee, and Won-Geun Kang is an introduction to the United Methodist Church. It explains the characteristics and differences of the United Methodist Church and teaches us how to practice faith and doctrine of the United Methodist Church in personal and communal life. This book helps the church leaders to engage the newcomers in growing Christian faith and practice. It also guides people to know the roots, experiences, and missions of the United Methodist Church as we live as disciples of Jesus Christ.